We are sure you'll fall in love with this "still unknown paradise" that belongs to the real rural Italy. In fact you'll be near to many different attractions such as Parma, the Italian gastronomic capital, Milan, the worldwide fashion capital, the romantic Ligurian Riviera with its "Cinque Terre" (Five Lands), Tuscany, just to name a few, and, at the same time, you'll be in a relaxing and peaceful place. 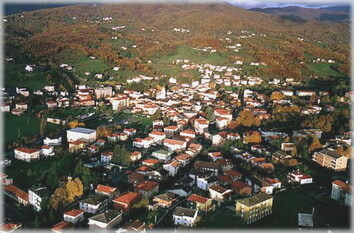 Bedonia, which is situated at the beginning of the Taro Valley, is considered one of the most beautiful and welcoming centres of the Parmesan hills. The view of the town, stretched out on a gentle slope, despite the fact that it is surrounded by high relieves (Apennines), gives an impression of wide open spaces from whatever direction you reach it. The Bedoniese territory is marked by two principal valleys, the Val Ceno and the Val Taro, which get their names from the rivers which flow through them: both splendid and with opposing characteristics, sweet and welcoming the first, rough and wild the second. Both rivers begin on Monte Penna (m.1735), a splendid mountain peak surrounded by a state forest which with other peaks form the Bedoniese ridge. You can find ancient woods of oak, chestnut, beech and many animal species. Nearby it is possible to visit the wonderful WWF protected area called "Oasi dei Ghirardi", a 600 hectares park where a guided nature trail will show you the beauty of the flora and fauna such as deers, foxes, wild cats, birds of prey, monumental oaks and many more. There are many of those occasional passers-by which when they arrive here, in an area not yet very well known by the main bulk of tourism, are hit by its beauty and by the uniqueness of the countryside, by the silence of the river, the splendour of the colours, in any season. Here they can spend a period of time relaxing and distracting themselves, in contact with nature in absolute tranquillity and being able to use the modern sports complexes (swimming-pools, tennis courts, volleyball and basketball courts, skating and football). 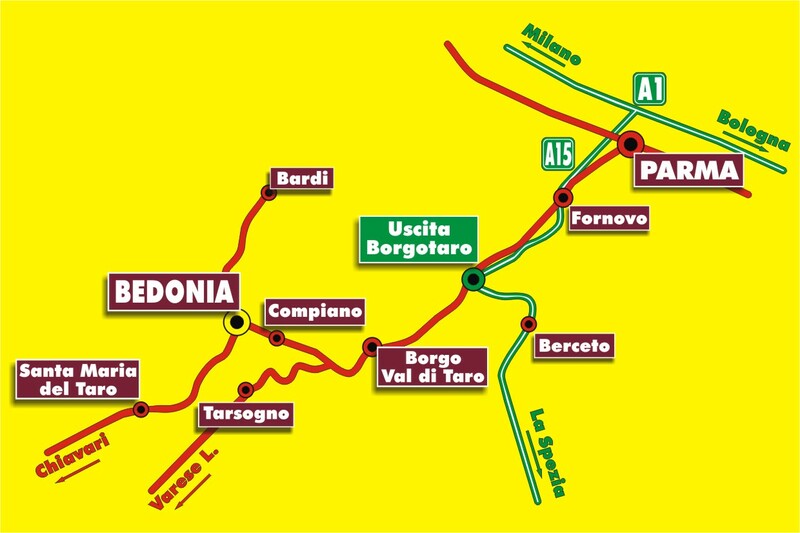 Bedonia offers to all its guests ideal occasions for trekking, walks, mountain biking, fishing and mushroom picking, in particular the "Porcino Valtarese" mushroom, a D.O.C. product internationally famous. The "Bedonia" gastronomy is characterised by the use of poor ingredients, but which still give delicious results. Potatoes, beet, cauliflower, pumpkin, and rice cakes, "castagnaccio", "tagliatelle al sugo di noci", and when in season "porcini", "prugnoli", "Prataioli", mushrooms cooked in a variety of ways are eaten in the restaurants of the area. Also to be remembered is the Taro Trout and the excellent wild fowl of the woods.